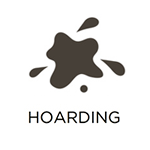 Hoarding is a problem that affects many people throughout the United States and the responsibility of cleaning out the homes of those that hoard typically falls on their family or friends. 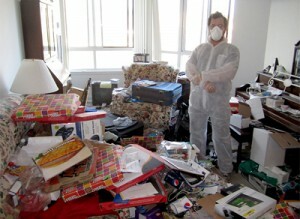 The extreme collection of any objects such as personal items, animals, or trash is what characterizes hoarding. 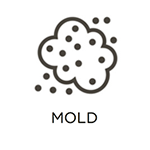 Hoards can become dangerous when they grow large enough to affect the activities of the home and odors, dust, and mold begin accumulating in the clutter. RestorationMaster provides hoarder cleanup services to Cordova, TN and the surrounding communities to help clean up the homes of those that struggle with hoarding issues. RestorationMaster understands that the people involved have an attachment to the items in their hoard which is why we approach each project with a sense of care and compassion. Our technicians are trained and certified to perform hoarder clean up services that include the removal of the clutter along with the cleaning, sanitizing, and deodorization of the area. 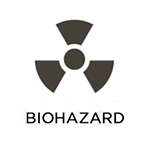 We can also safely remove biohazard materials including bodily fluids or decomposing animals. Decontamination: Removal of the hoard and all biohazard materials such as blood, bodily fluids, and decomposing animals. 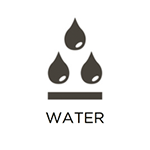 Deodorization: Use of powerful deodorizers to remove foul odors. Proper Disposal: Storage and transport of biohazard materials using the proper containers to a licensed facility for disposal. 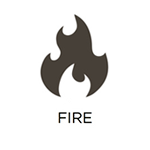 Precious personal items such as photographs and other personal keepsakes will be saved. If you have a family member or loved one that needs assistance with hoarder clean up in Cordova, TN, contact RestorationMaster at (901) 410-4664. Our franchise is completing a national expert class in hoarder and estate clean up and we have a live operator standing by 24 hours a day to receive your call.